Let Empire Media help you stand out. As soon as you exchange cards with a prospect, he/she will be looking at it - judging it - and since most of us will judge things by what we see (consciously or unconsciously), it is imperative that your primary marketing tools portray professionalism and high quality. Moreover, efforts put towards your business card design, will give your customers a sense of how much attention is brought to your products and services, AND how serious you are about what you do. 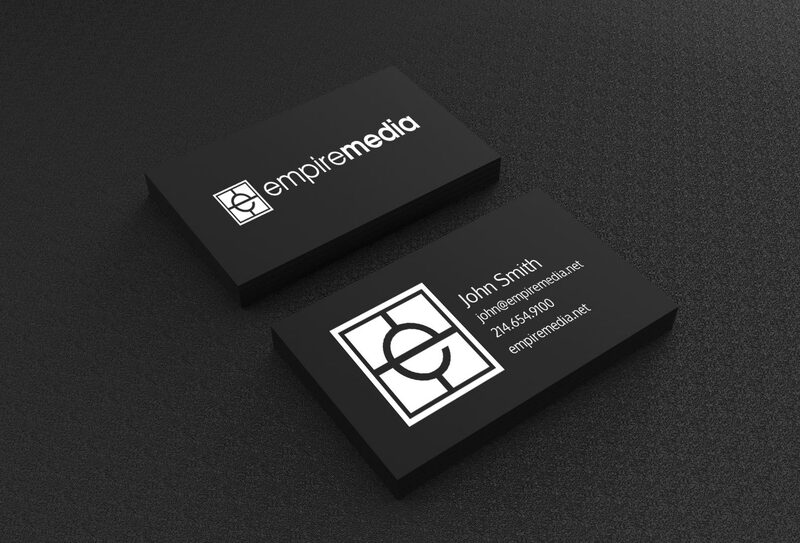 Your doctor, your lawyer, your banker, like clean looking business cards with very simple layouts. They like business card designs that are printed in two colors on expensive white, textured cards, with a few expensive embellishments, such as embossing or gold foiling. Their cards usually stand out because they are expensively produced, yet they don't have to compete for attention (how many doctors' or lawyers' business cards do you have in your card holder?). These cards are passive, you look for them because YOU want to specifically contact that person. A 'regular' business, on the other hand, is competing to get customers to contact them, these are customers who regularly receive cards and who are continuously contacted by competing similar businesses. A card that just sits there, quietly waiting to be found or thrown away, is going to lose you money. You need a salesman in every card holder that shouts "HEY YOU, HERE I AM, PICK ME UP AND CONTACT MY BOSS." Like in any competitive market, the first goal of your most important marketing tool is not information, the first goal is to grab attention, and then provide information... and I'm not talking about those silly tricks to grab attention, I'm talking about memorable, striking graphics. A great looking business card is always picked up, remembered and will stand out on any desk or Rolodex.